Episode 2 of BU All Access includes features on junior Brandon Hickey, sophomore Jordan Greenway and former BU assistant and current NJ Devils head coach John Hynes, along with a look back at the Michigan series at Yost Arena. 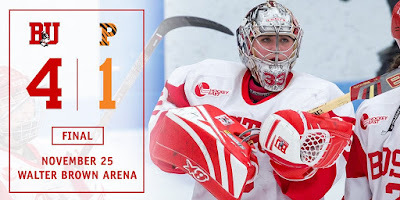 ►The Daily Free Press takes a statistical look at BU's performance after the first dozen games, examining rankings, offensive production and penalty minutes. Dante Fabbro has been named to Hockey Canada’s tryout camp for the 2016/17 World Junior Championship team. The defenseman from Coquitlam, British Columbia, along with his former Penticton Vees teammate and North Dakota forward Tyson Jost, are the only NCAA players on the roster. On Tuesday night, The Pipeline Show featured three BU 2017 recruits who are eligible for the next NHL Entry Draft. Segment 4 spotlights Waterloo Black Hawks center Shane Bowers, an “A” rated skater by Central Scouting. In Segment 5, Hockey Prospect.com scout Russ Bitely discusses NTDP U18 defenseman David Farrance (photo) and Brockville Braves blueliner Cameron Crotty who both appear on Central Scouting's latest Players to Watch list. 2018 recruit Joel Farabee, playing for the NTDP U17s, is the featured profile on USA Hockey.com. The speedy, 5-11 wing from Cicero, NY leads the U17s with 15 points (7G, 8A) in 22 games. Former Terrier MVP and Hobey Baker Award winner Jack Eichel returned to the Buffalo line-up with a bang, scoring a goal and adding an assist in a 5-4 win against Ottawa on Tuesday. Eichel missed the Sabres’ first 21 games with a high ankle sprain. Four former Terrier standouts—Tony Amonte, Shawn McEachern, Keith Tkachuk and Scott Young—will be inducted into the US Hockey Hall of Fame tonight as members of the 1996 World Cup of Hockey gold medal squad. The induction ceremony in Philadelphia, which marks the 50th season of Flyers hockey, can be viewed at 7 p.m. 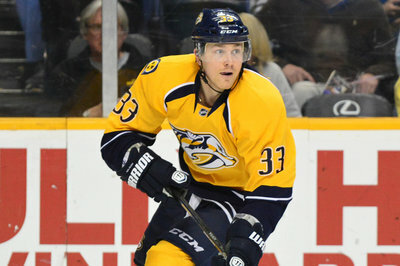 ET on ushockeyhalloffame.com . Amonte and Tkachuk were previously inducted to the HHOF as individuals. Following its 5-3 win over Harvard, BU’s poll stock moved up with a #6 ranking in the USCHO poll and a #5 ranking in the USA Today/USA Hockey Magazine poll. A pair of freshmen, defenseman Dante Fabbro and forward Patrick Curry, earned places on Hockey East’s Weekly Top Performers list. Junior Nina Rodgers, who had a league-best five points in the weekend sweep of Princeton, was named the Hockey East Warrior Player of the Week. A transfer from Minnesota, Rodgers has 14 points in 16 games. Senior Victoria Hanson, who has three starts, and freshman Abby Cook, who scored her first NCAA goal, made the weekly Top Performers list. BU completed that sweep with a 4-3 win over the Tigers on Saturday at Walter Brown Arena. With the Terriers trailing 3-2 after two periods, Cook knotted the score at 16:02 of the third. Grad student Mary Parker ended matters just 37 seconds into overtime with her 15th goal, assisted by junior Victoria Bach and Rodgers. Parker and Bach are the Hockey East co-leaders in points (23) and points-per-game (1.44). 2017 recruit Cameron Crotty was named to the Canada East selection roster for the upcoming World Junior A Challenge. Previously, 2017 recruit Hank Crone was selected for Team USA’s entry in the event that has pre-tournament exhibitions beginning Dec. 9 in Bonneyville, Alberta. 2018 recruit Matthew Quercia record a power play assist in Sioux Falls’ 6-5 overtime win over TriCity. '02 D Ruben Rafkin has recently visited Quinnipiac University and Boston University. Top talent now playing for Selects Academy U16. Playing up with the Selects Academy at South Kent School 16Us, Rafkin, a 2002 birthdate, right-shot defenseman, captained the team to a berth in the US Nationals next Spring. AHL.com profiles 2008-09 Terrier co-captain John McCarthy, who is currently wearing the C for the San Jose Barracudas. 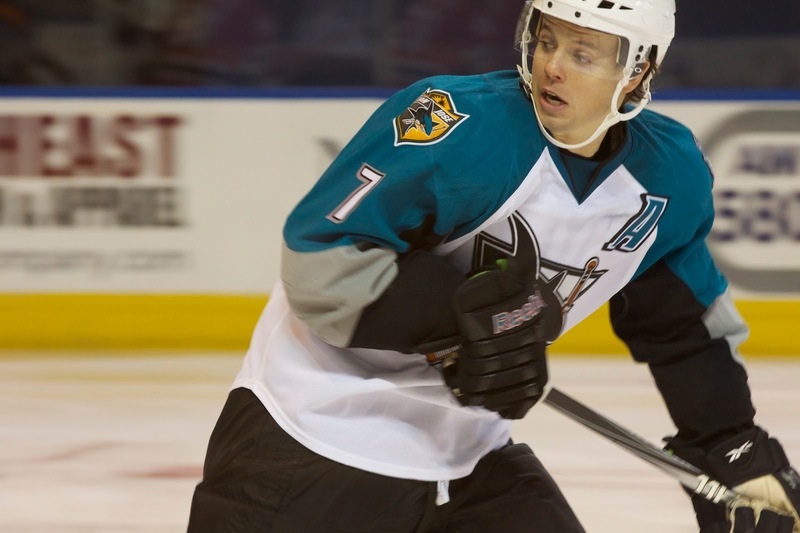 McCarthy, who has played 88 NHL games with the Sharks, has played all but 25 of his 454 pro games with the San Jose organization. Alex Chiasson scored the third-period game winner to give Calgary its first win in Boston since 2003. Charlie Coyle scored his sixth and seventh goals in Minnesota’s 6-2 win over Pittsburgh. Nick Bonino recorded his seventh assist for the Penguins. Behind senior goalie Victoria Hanson’s 41 saves, the Terriers defeated Princeton, 4-1 at Walter Brown Arena. BU took a 2-0 lead just minutes after puck drop on goals by senior forwards Maddie Elia and Samantha Sutherland. The Tigers narrowed the margin to one in the second period and threatened to tie the game in the third before junior Nina Rodgers (power play) and grad student Mary Parker (empty-netter) scored in the final minutes. ● GoTerriers.com recap and comprehensive box score. Juniors Victoria Bach and Rebecca Leslie have been named to the Canada National Development Team roster for the 2017 Nations Cup in Germany, beginning January 4. Also named to the squad is former Terrier Sarah Lefort.